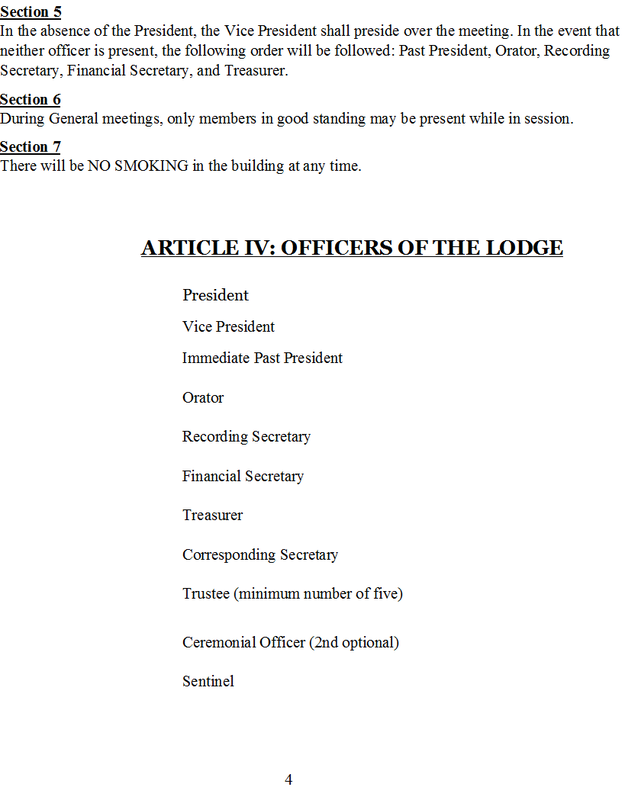 The Sentinel is the doorkeeper of the Lodge. 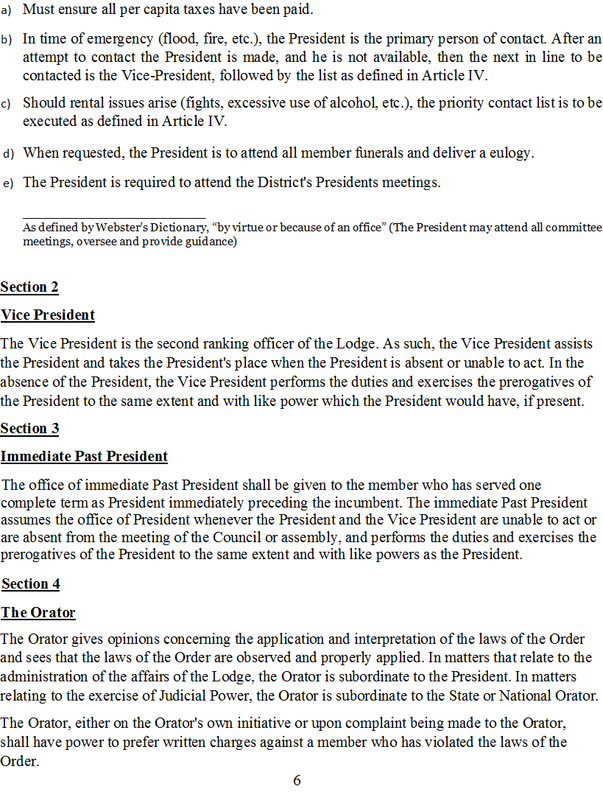 The Sentinel's duty is to exclude strangers from meetings of the assembly and to admit those members who have identified themselves by announcing their presence to the President, who in turn orders the Sentinel to either admit or exclude such members. 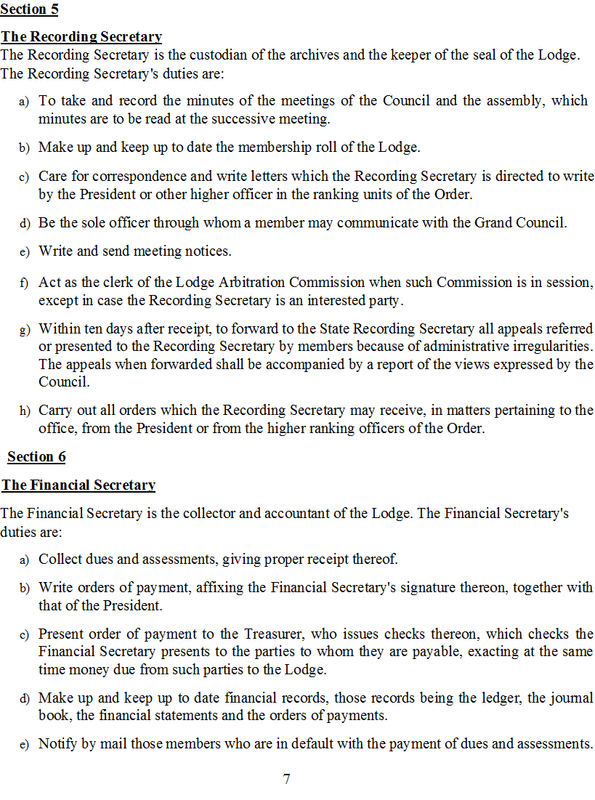 Corresponding Secretary, Treasurer, Financial Secretary, Ceremonial Officer, Trustees, and Sentinel. 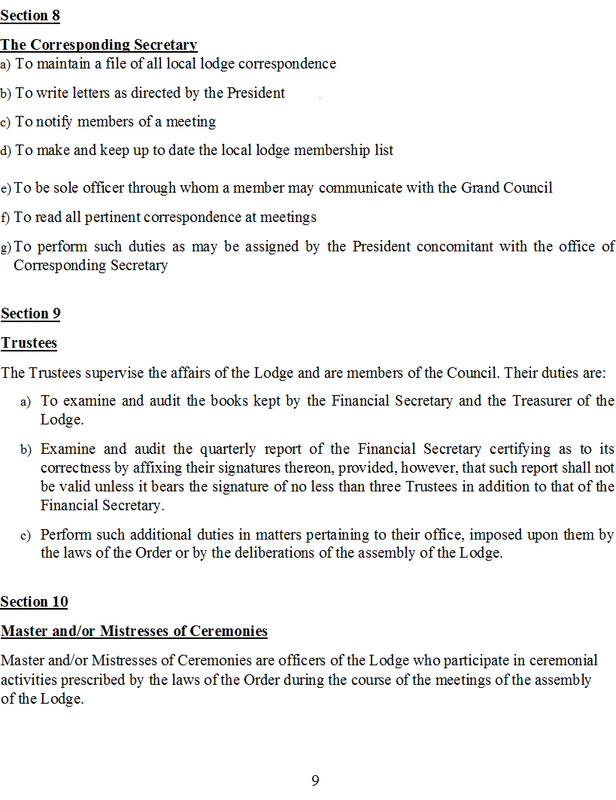 Meetings of the Executive Council shall be held on the third Wednesday of every month. 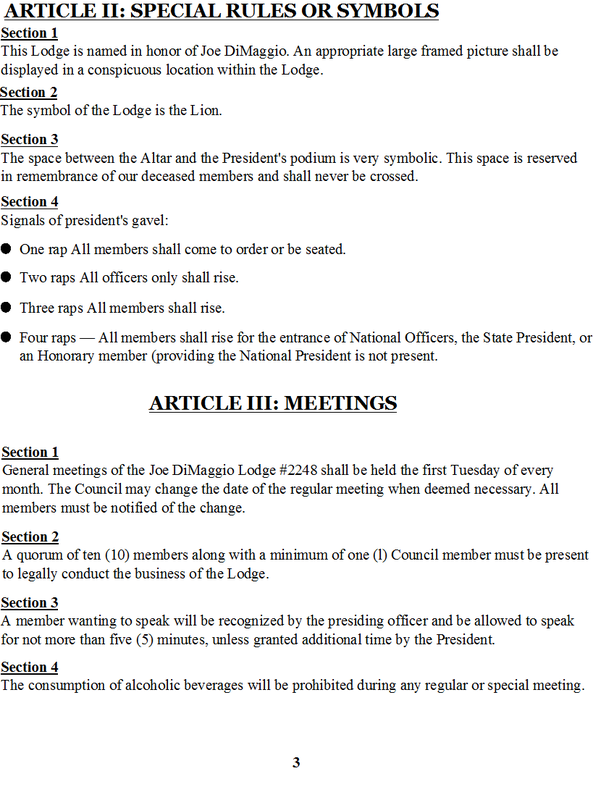 The President or the officer acting in his/her absence, may change the date, with no less than a two (2) day notice by email or phone to all members, should the need arise. 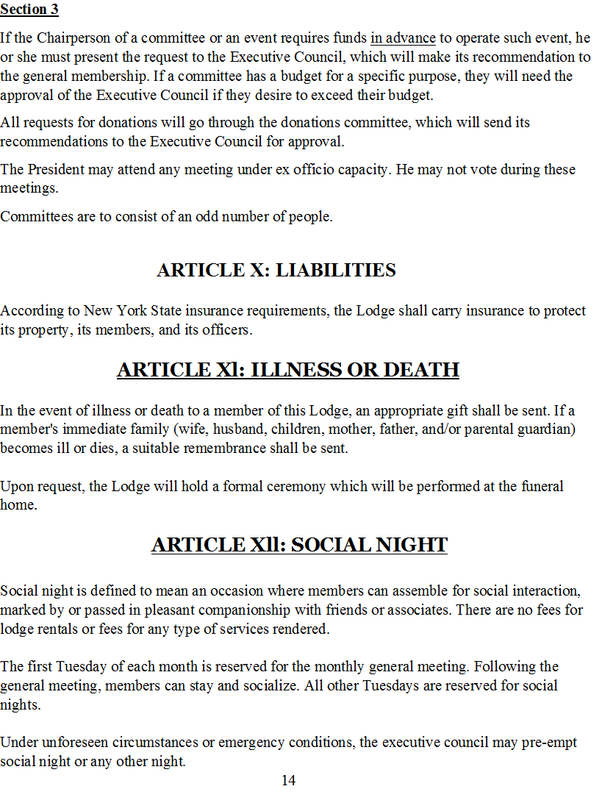 No Council meeting shall conflict with any scheduled social night. 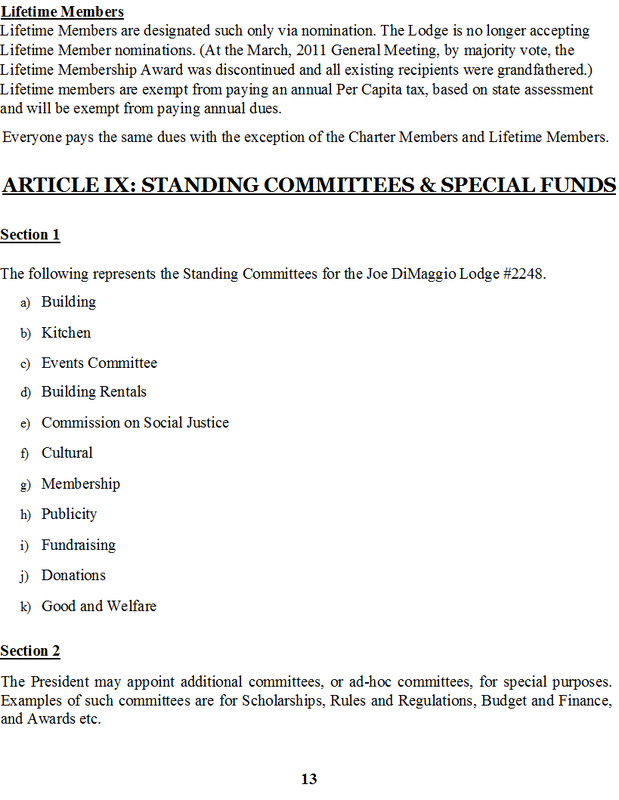 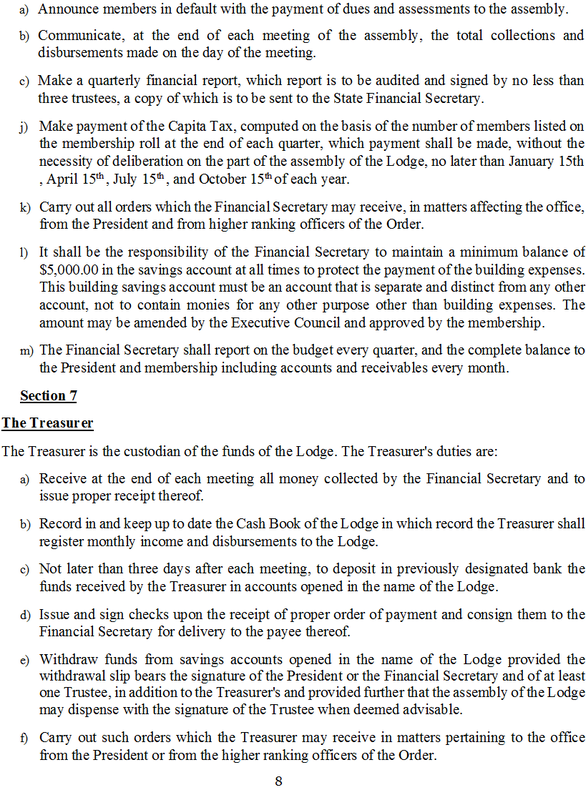 The Executive Council has the authority to approve a maximum expenditure of $300.00 without the approval of the General Membership. 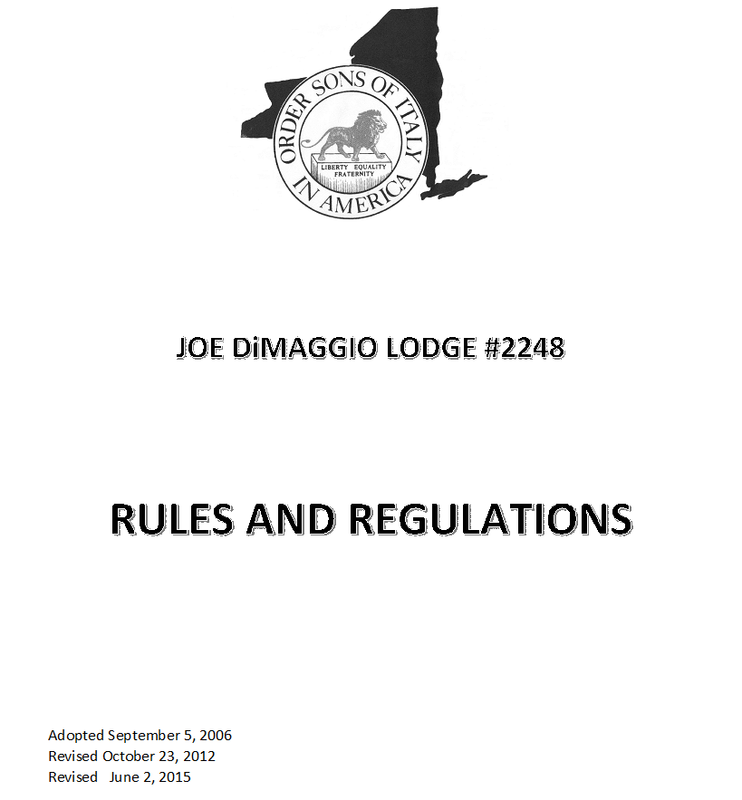 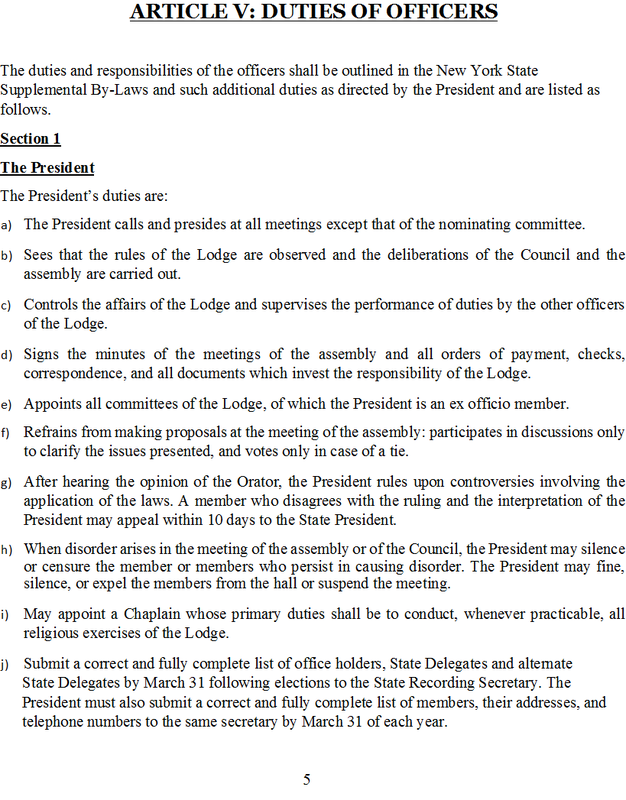 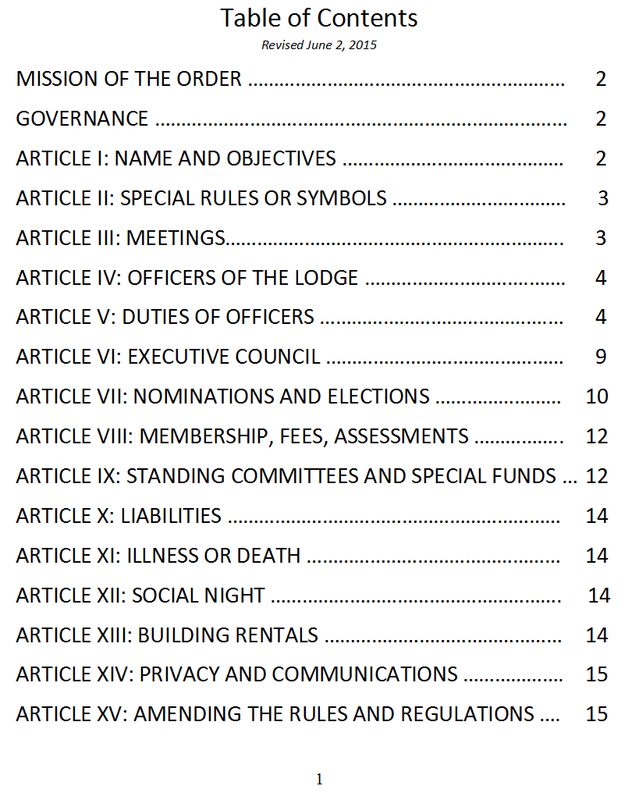 The Executive Council is authorized and empowered to conduct and manage the affairs of the Lodge between regular meetings and perform all other acts necessary and proper for the protection of the membership and property of the Lodge. 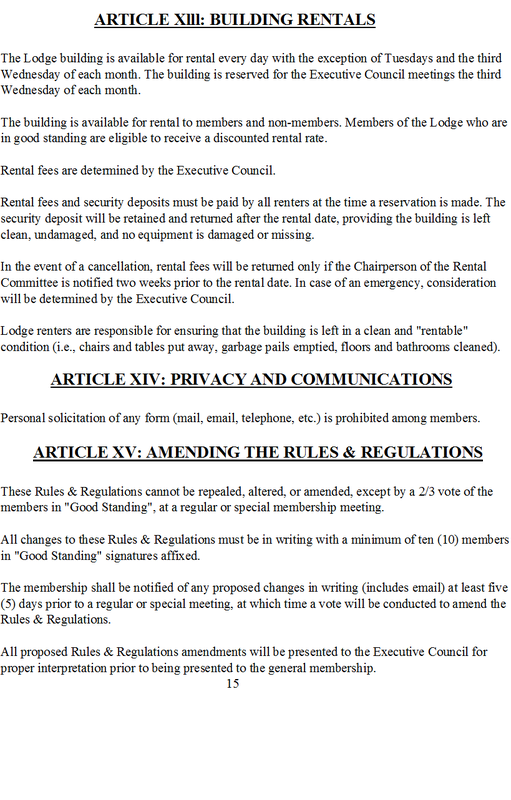 Any non-council member in good standing is permitted and welcomed to attend Executive Council meetings. 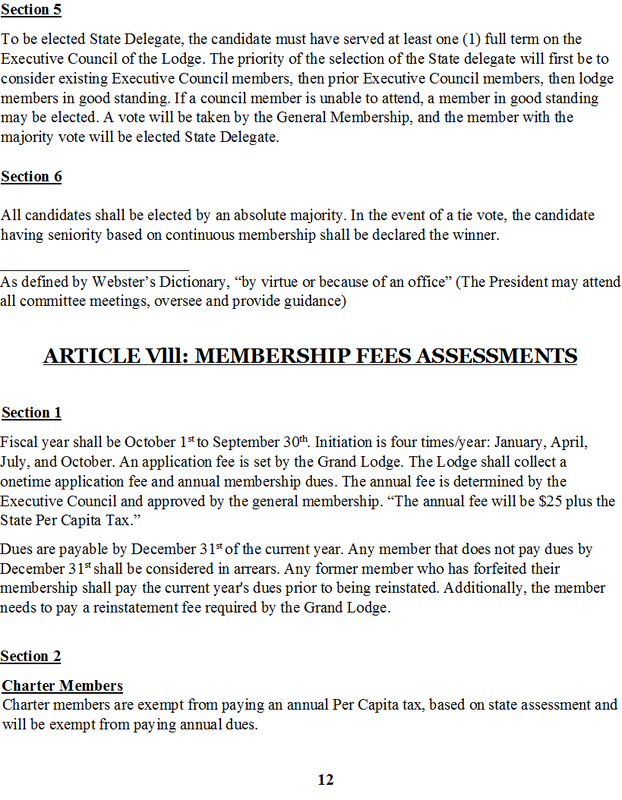 Non-council members may only speak during the Council meeting under the "Good and Welfare" portion of the session, unless invited by the Council to participate in scheduled discussions covering matters relevant to the member's assignment(s). 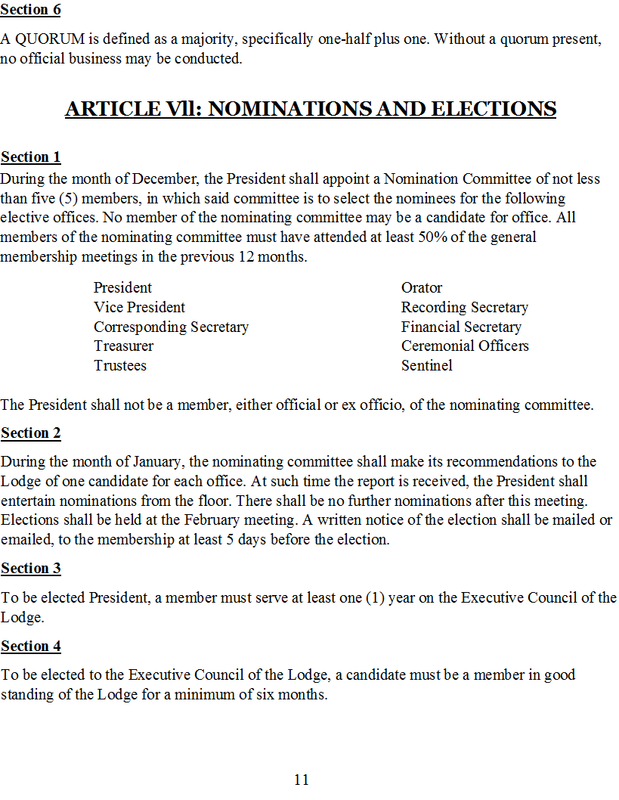 A non-council member may speak during the Council meeting provided he/she speaks through the Chair, which requires the Chair to acknowledge him/her.